There is a few ways to get a JotForm integrated into a Flash based website. This guide explains how to create a lightbox effect in which your Form is shown when a user clicks a button in your Flash website. It is for Actionscript 3 versions of Abode Flash. 1. In my Flash movie, I need to create a new button which when clicked will display my JotForm form. 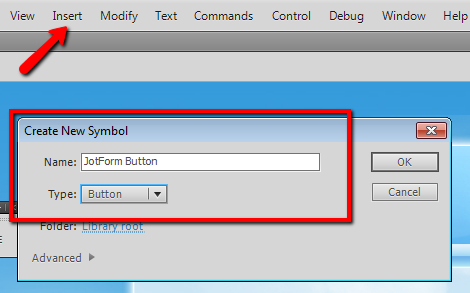 In the Create New Symbol Dialog, give your button a name and ensure the symbol is of Type: 'Button'. Create your button in the Flash editor. 3. We need to attach an action to this button. Create a new layer on your Flash movies' timeline. I am calling my new layer 'as3'. 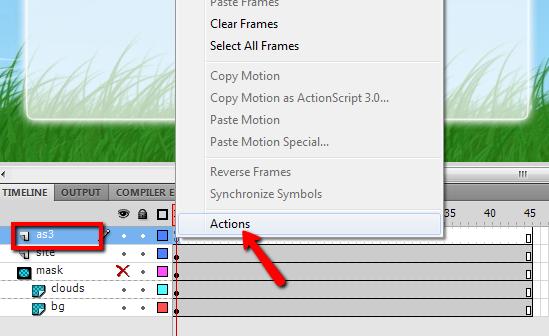 When the layer has been created, right click on the first frame of this layer and select 'Actions' to open the Actionscript code editor for this layer. NOTE: Change alert_btn to whatever name your used for the instance of your button in step 2. Thats us done configuring our button in our flash movie. After you have published your Flash movie, we need to make a few changes to the default HTML provided by Adobe Flash to get our button working. 4. Open this HTML file in your text editor. 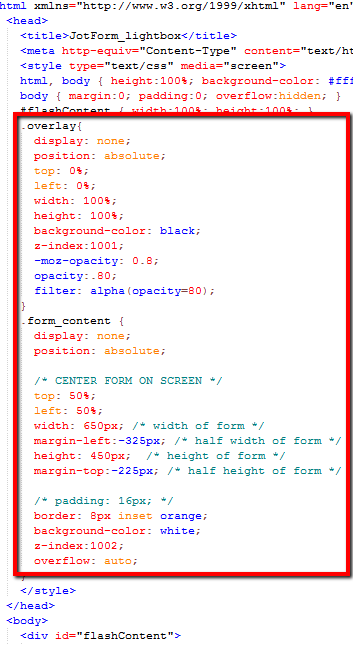 NOTE: In the CSS class .form_content , you will need to use the dimensions of your own form to generate the values for the width, margin-left, height & margin-top attributes. 6. 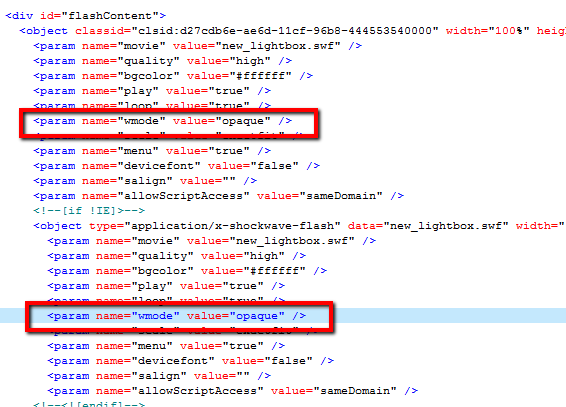 We need to make two changes to default object embed code generated by Flash for our .swf file. Change the two references to 'wmode' from 'window' to 'opaque'. NOTE: You change the highlighted script embed code to whatever the embed code of your form is. Your embed code is retrievable in JotForm by clicking on the Setup & Embed toolbar, selecting Embed Form and clicking the Embed icon. I have included an image in this code that when clicked closes the lightbox when it is clicked. 8. 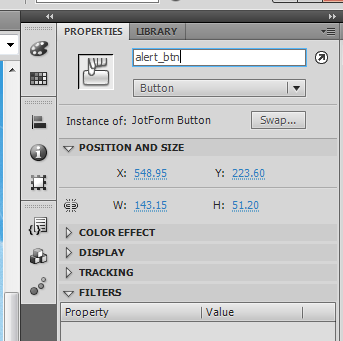 All we need to do now is add the Javacript function that gets called when a user clicks our JotForm button. 9. Thats it! Save your HTML document, upload it and your .swf file to your webserver. You can inspect my example here. Would this process and code work the same if I wanted to embed a jotform into a mobile app I'm making with Adobe Flash? What if I want to add an existing form to the flash? Hi. I can't seem to find the html file that is recommended to be downloaded in step 4 - where would I find this? How to Stylize Feedback/Lightbox Title? How to use an image as my submit button when using the lightbox feature? How to inject CSS into 'thank you' lightbox. why does the light box presentation blocks with my jQuerry?